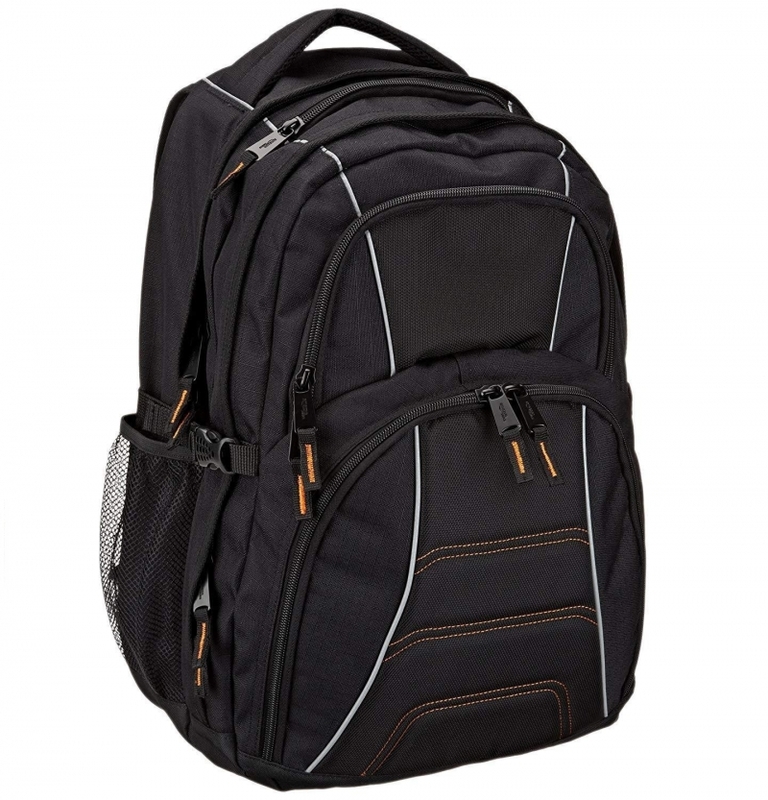 The AmazonBasics backpack is one of the most comfortable, adjustable, heavily padded with shoulder straps which makes the backpack more comfortable to wear even when loaded with all your gear. The left strap provides a quick-access space for cell phones or other small items. 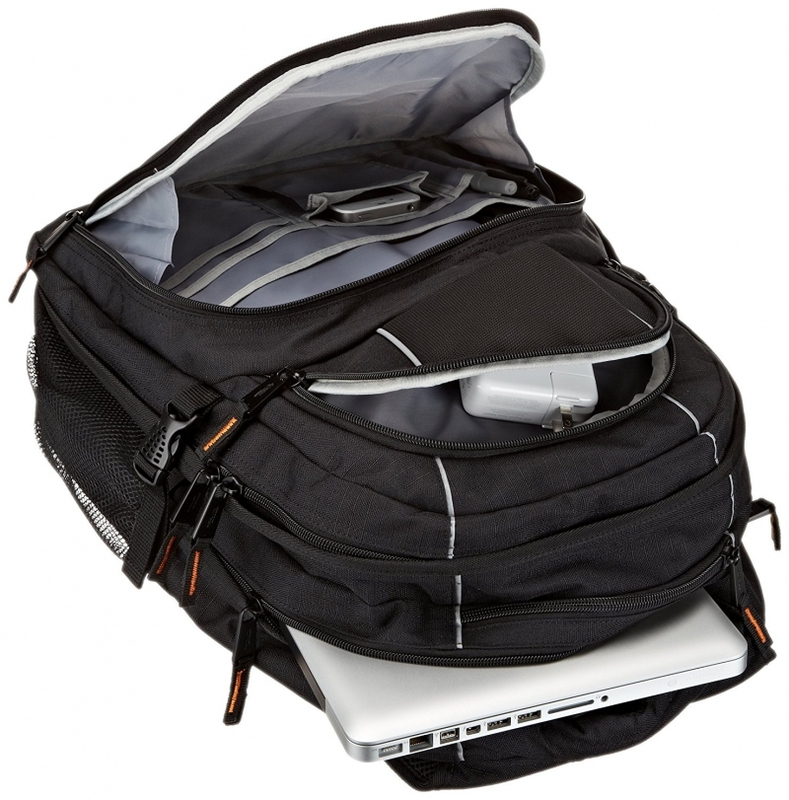 The backpack was designed to protect and hold your laptop while on the move. Remember the backpack is not waterproof. 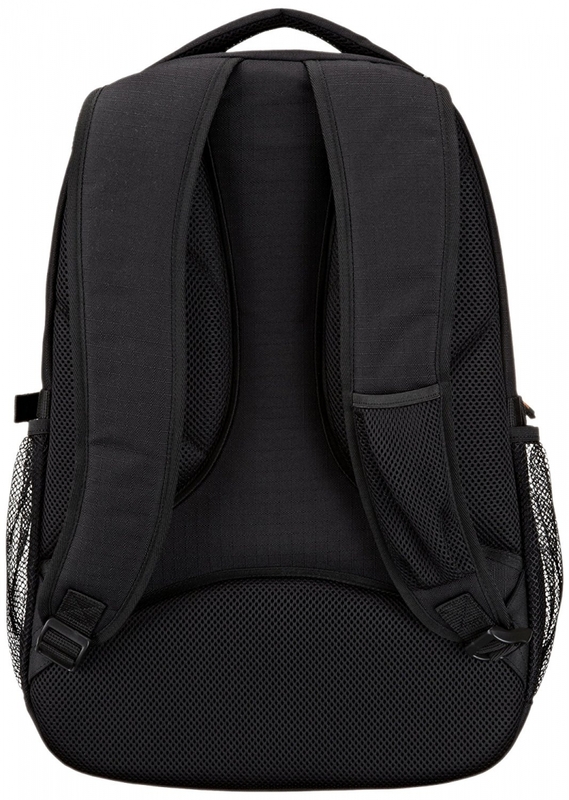 The backpack has internal dimensions of length 12", width 4.5" and height 17.5" and with an external dimension of length 15", width 7" and height 19". 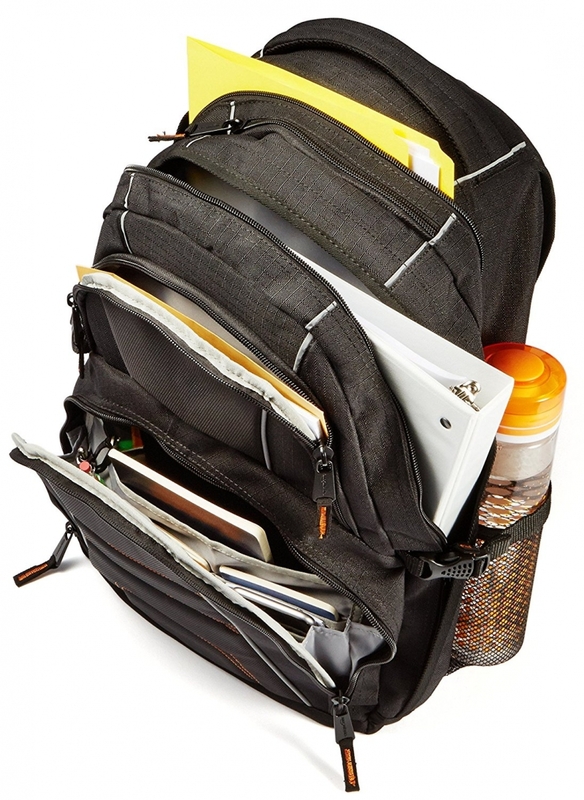 The backpack can hold up to 17" laptop. It has a mesh water bottle pockets at side and organizational compartments for pens, keys, and cell phone. An ideal backpack for all occasions.